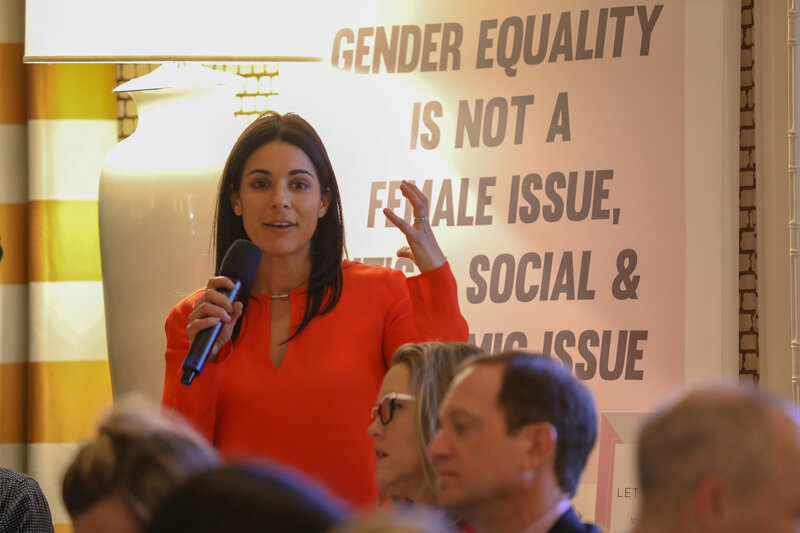 At VaynerX, gender equality is an essential issue: we believe that workplaces that reflect diverse backgrounds and points of view foster better work. With a desire to spotlight this belief and further promote female leaders within our company, we formed a strategic partnership with The Female Quotient to produce events at the advertising industry’s largest events, including CES and SXSW. 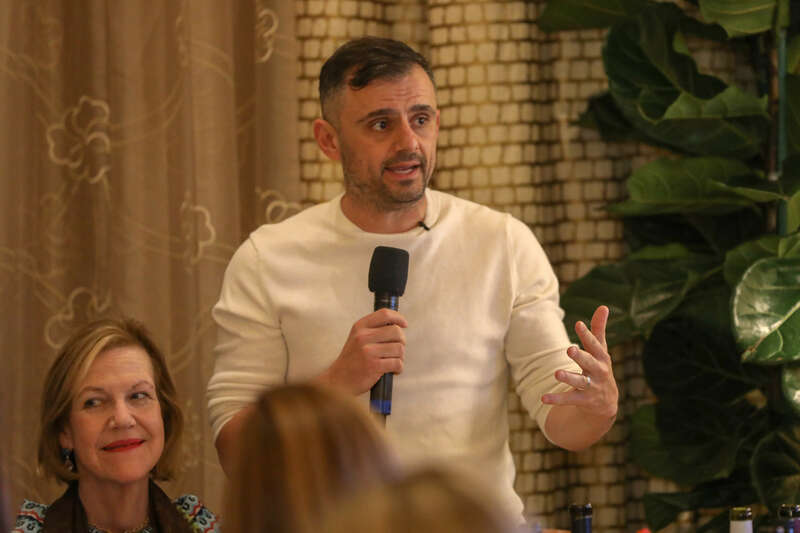 To kick off the partnership at CES, we produced the Red & White Dinner in The Girls’ Lounge, a dinner and discussion hosted by Gary Vaynerchuk and Shelley Zalis. 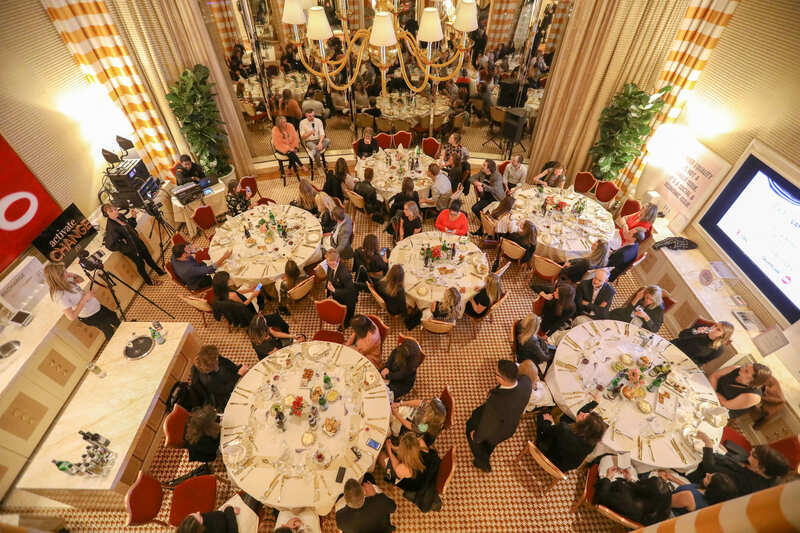 The dinner brought together over 70 top executives from the marketing world for dinner and discussion around activating solutions for change and taking the next steps toward equality. Coming out of the dinner, we identified 11 “Solutions for Change” from our discussion (noted below) – action items that we would all take in order to help improve gender equality in the workplace. Focus on Topic Expertise, Not Title. Conference committees need to question their criteria for main stage speakers. Take a Grassroots Approach. Businesses need to prioritize keeping women in the pipeline and advancing them to leadership. Say Yes. Empower women to put themselves out there and accept the offer. Share the Spotlight. Request that every male speaker invite or recommend a woman. Reflect Diversity. Make women feel like they belong at events by showcasing a variety of people in marketing materials. Amplify the Benefits. Seek out participants with different backgrounds and experiences to make the conversation more engaging. Diversify the Selection Committee. Ensure that the selection committee is diverse to increase the likelihood of securing diverse speakers. Sign the Panel Pledge. 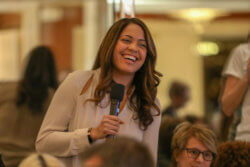 Encourage executives to agree not to speak on panels without a female representative. Look in the Right Places. 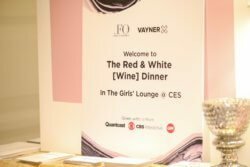 The Female Quotient has access to over 20,000 corporate women across every topic. Get the ‘A’ grade. Let’s rate trade associations on their commitment and progress. Focus on Growth. Above all else, recognize that diversity is simply good for business.